They say good things come in threes. 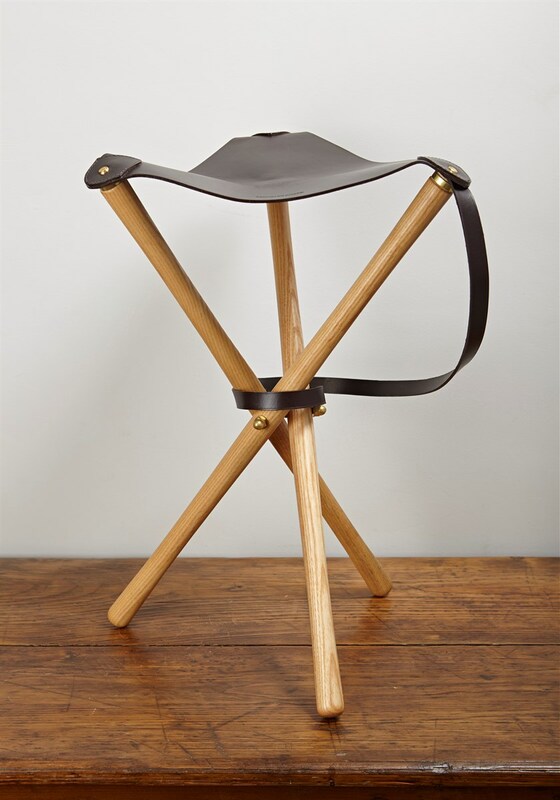 Well here's a three-legged stool comprised of three simple materials, English ash, brass and leather. When folded you can carry this little beauty over the shoulder while you scan the hedgerows and use it while you're cooking your foraged bounty on a campfire. This is a Lissom & Muster collaboration with leather goods maker Cherchbi; using leather sourced from a Derbyshire tannery. Every step of the process, from sourcing the Hereford cattle hides, to leather tanning, to forging brassware, to finishing, is a British product or process. Something light, durable, waterproof and, of course, pleasing to the eye – that's pretty much what we want from a walking boot, right? 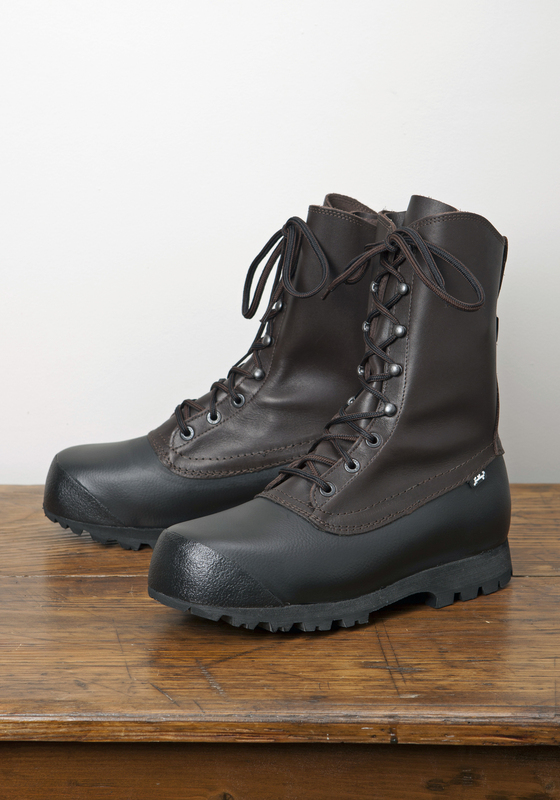 Jonas Lundhag's Forest Boot is a fine cross between a rubber boot and a walking boot and it ticks the right boxes for us – it's leather, it's beautiful and it's waterproof, all the while being surprisingly lightweight. Another fine Lissom & Muster collaboration with British leather goods maker Cherchbi, this flask is something that should always be in your rucksack or field bag. 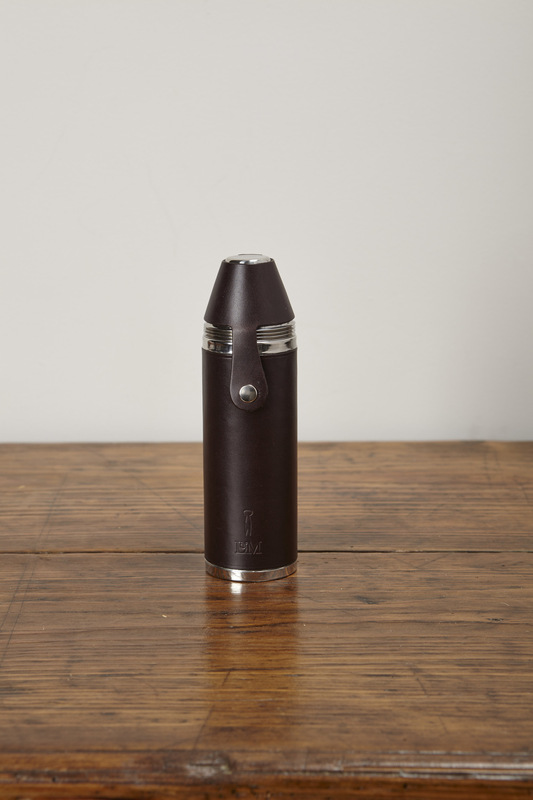 We love it, firstly, because it's called a Hunter Flask. What a name. And secondly, it comes with four stainless steel cups so you can share a hedgerow gin with your foraging buddies on a well-earned break. A good sturdy knife is what you need to cut through branches or mushroom stems and this Barlow Knife by Taylors Eye Witness is just the job. They're handmade in Sheffield and each knife is unique because of the varying markings and colourings of the ramshorn handle. A fine country knife to keep in your pocket, always. Even if it's just to stroke and fondle the ramshorn handle from time to time. This Filson 'Alaska' fit coat is lightweight and strong, and allows for layering and mobility in the outdoors, so there's room for you to wear chunky knitwear underneath, if needs be. It is wind and water repellent, further enhanced by Filson's paraffin-based wax, and comes in a choice of Otter Green or Brown. The perfect outdoor coat, built to last a lifetime, folks. For keeping your OS map and your hedgerow guidebook nice and dry, this Brady Ariel Trout bag is made from triple-layered waterproof canvas and trimmed with leather and brass fittings - all produced by English craftsmen. It also comes with a removable, washable rubber liner. Now that's an Ernest bag if we ever saw one. Lissom & Muster sources and commissions the very best, authentic products, skilfully made for life in our landscape. Call in their beautiful shop on Tib Lane in the centre of Manchester or check them out online.